Cost: $28 per class or $25 per class, if paying in cash. Reiki (pronounced ‘ray-key') comes to us from Dr. Mikao Usui (Usui Sensei) of Japan. It is a natural system of stress reduction and relaxation that promotes healing. The name Reiki is made up of two Japanese words: REI meaning ‘universal or higher power' and KI meaning ‘life force energy'. It is aptly named as the practitioner acts as a conduit for the Reiki energy which is guided by a higher power; because of this, ANYONE can learn Reiki. You do not need to study for years or fast on a mountaintop. The connection to Reiki is passed from Teacher to Student in what is known as an attunement. This series picks up where the Reiki I Practitioner Certification series leaves off. 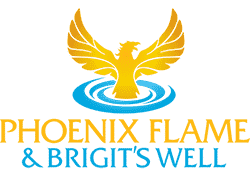 We'll start off the series right away with your Reiki II attunement, then over the course of 6-weeks, you will learn in-depth techniques for using the three Reiki II symbols. In addition, you will learn several Japanese Reiki techniques, how to use Reiki to help heal unwanted habits, how to create a Reiki object, how to send Reiki at a distance, and how to use Reiki to connect with spirit. You will also have an opportunity to connect with and meet your Reiki Spirit Guide. At the end of this series, you will be able to confidently use the techniques presented to improve the health and quality of life for yourself, your loved ones, and perhaps even start your own Reiki business (if so desired). Reiki II attunement, Reiki II certificate, detailed handouts, and lots of hands-on practice time. Must attend all six classes to receive a certificate.  Copyright ©2009-2019 Phoenix Flame & Brigit's Well. All Rights Reserved.